A physician demand analysis can be best understood when broken down into two parts: supply and demand. The first part involves developing an accurate supply list of physicians in your service area. This is the most time-consuming part of the process, but the benefits of getting a clear picture of the physicians in your market will make it time well spent. The best way to pull together your supply list is to use a variety of sources and cross reference. 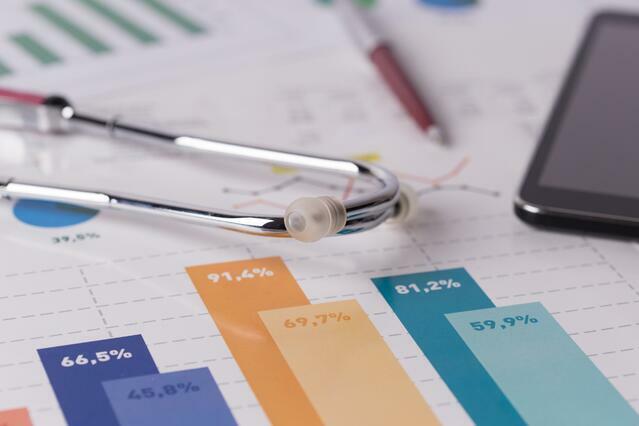 Sources may include the National Plan and Provider Enumeration System (NPPES), the Base Provider Enrollment File from CMS, and a supply list provided by your hospital’s medical staff department. Also, all physicians in the service area need to be included, not only the ones that practice at your facility. It’s important to remember that by the time you finish your list, it’s likely to be outdated due to physicians moving and retiring. With this in mind, be sure to keep your list updated annually, possibly bi-annually, in an effort to avoid facing a fully outdated physician list that will need to be rebuilt from scratch. The second part requires you to define the likely patient demand. The demand for physicians are made based on projected assumptions of health care services and delivery. Changing demographics, health care reform, and increased use of advanced practice providers are just a few things to consider. At this point, you have to decide which model(s) to use for your physician-per-population rate calculation. Some models include: the American Medical Association (AMA), a Mature HMO, Kaiser Plans, and Hicks and Glenn. Since there are quite a few sources to choose from, it is best to calculate a weighted average rate from multiple models. Once you have calculated your supply and demand, you will be able to estimate your surpluses and deficits simply by subtracting the demand from the supply. This intelligence will tell you where the need is in your community and will allow you to recruit for the right specialists. Filling in the holes will be a win-win for both your hospital and the community you serve. Your hospital will increase its volume and accessibility to health care services will be more readily available to patients. Additionally, this information is useful for strategic growth planning, as it it will serve as a guideline for future physician recruitment efforts. For more information on conducting a community physician and provider demand analysis or for help in completing one for your service area, set up a conversation with Sean Conway today. Sean will demonstrate how a physician demand analysis will help you more effectively project physician surpluses and deficits and plan for future strategic growth.